This mod adds 3 new blocks to the game. 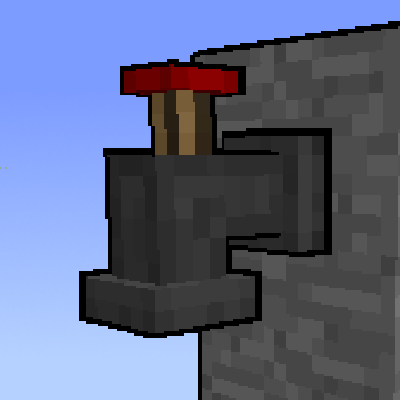 Hopper Pipes can be faced any direction, and will simply push their items into the block they're facing. The side of the pipe has a black arrow indicating which way it's facing. When placing hopper pipes, by default they will face toward you. Or, you can hold shift and they will face the block you place them against. Filter Hoppers are placed in the same manner. Filter Hoppers can be faced in any direction. They will pull items from the block behind them and push items into the block in front of them. Filter Hoppers have two inventories. The top inventory is the regular inventory, and the lower inventory is the filter inventory. One side of the block has a filter on it, and items will only be allowed through this side if they match the filter. When the filter hopper is powered by redstone it will enter blacklist mode. This means items matching the filter will not be allowed through, but all other items will. Can be configured to capture item entities only when facing downward (because gravity), or when facing any direction. Faucets will pull items from inventories up to two blocks behind them. They will automatically spew items in their inventory onto the ground, unless powered by redstone. There is a switch on top of the faucet that when pushed will reverse the behavior, only spewing items when powered. When there is a solid block blocking the faucet, it will not spew items but will continue to pull items from inventories behind it. Can I add this useful mod in a Modpack? Any chance fluid hoppers could be added, along with a fluid faucet? Could make for some interesting designs for moving fluids around, particularly water for a tap. I wish the filter list for the hopper was larger but other then that it's great mod. Are the Hopper Pipes at all comparable to the Hopper Ducts mod? Does it only works for vanilla chests? I tested with storage drawers and it seems not able to pull anything out of it, but replace the drawer with a chest it works. The same happens with Immersive Engineering silo. This is a great mod. After playing vanilla style mod packs for some, I've been frustrated with the Hopper Ducts mod, which just didn't work as I felt it should, but since discovering this mod, I've never looked back. it's transformed my sorting systems. Huh, I had just as much fun with it as I believe I'd have with this mod. I'll test it out. I wish the faucets actually filled buckets and bottles with fluid from tanks they were attached to when right clicked with a bucket or bottle in hand. - Your pipes and hoppers block chests from being opened (unlike vanilla hoppers). In the picrue first 2 chests in the front won't open but the last one will. - Inconsistencies with redstone (these are very minor and need not to be fixed). Hopper 4 will never be on, hopper 5 blinks on and off (this happens when items are coming from above and from a hopper pipe). Hopper 6 works as expected and stays on when the pipe is in use. All the testing were done in 1.12 with the lastest 1.12.2 version of the mod. Thanks for letting me know, I'll look into fixing it. I like this concept; I'm excited for the idea of a 1.12+ version release in the future~! Yes, this way you don't need to worry about accidentally locking your pipe line. You can safely run all sorts of redstone near your pipes. If you need something that can be locked, you can use a hopper. Pipes sometimes wont connect to things or to each other... Is there something I'm doing wrong? Pipes only connect to things which are pointed into them. Pay attention to what way the pipes are facing, there's a little arrow on the fat part of the pipe. Also keep in mind that pipes don't pull items from the inventory behind them, they only insert items. 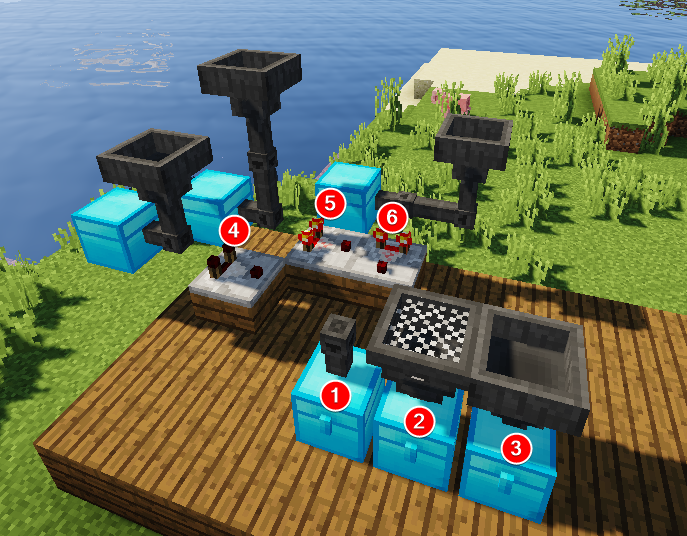 Pipes will connect to other pipes, hoppers, filter hoppers, and droppers, but only if they are facing the pipe. If it isn't too much trouble, would you consider a back-port to 1.10.2?